It was a remarkable season for the Alpena Wildcats who won two titles, broke one record, and tied another. 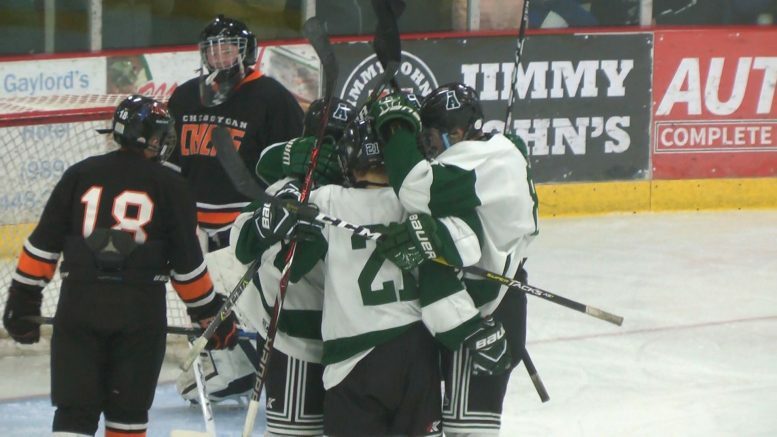 Alpena, Mich — The 2019 hockey season has come to an end for the Alpena Wildcats. They finished the season with a 4-1 loss to Houghton in the state quarter finals. The team finishes with a 23-5-1 overall record. The Wildcats season featured many accolades, including their first Big North Conference title since 2003, first regional title since 2007, a new single season shut out record (8) set by Cooper Black, and tied a school record with 23 wins on the season. Alpena’s games, even on the road, were extremely well attended throughout the season. The Wildcat faithful often out numbered opposing fan bases. The team returned the favor by hosting events to support the community including the “Teddy Bear Toss” night and Purple Game to help those affected by cancer. In short, it was an incredible season on all fronts led by an extremely talented senior class. We want to wish those continuing their hockey careers the best of luck in the future and thank those who laced their skates up for the last time as Wildcats.